The Cult of Ghoul: 18.07.2011. 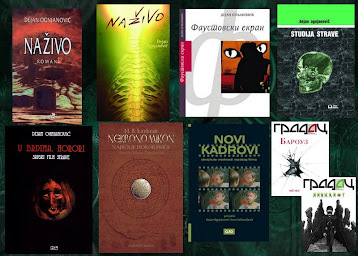 Solidan film prema Lavkraftovoj BOJI IZVAN OVOG SVEMIRA čiji rivju objavih pre neki dan na TWITCHu. Evo ga. If you want to see a Lovecraft adaptation done right, you have to look into small, independent films, done by talented enthusiasts, rather than fodder produced by the Hollywood machine. THE WHISPERER IN DARKNESS was one such example, and now there's another, coming a bit surprisingly from Germany. 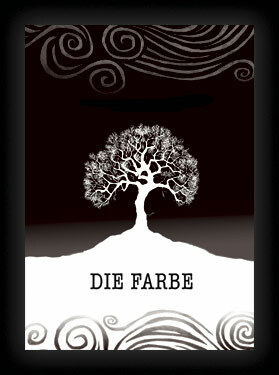 DIE FARBE (The Color) is the first attempt to do something other than a cheap monster-fest out of Lovecraft's story "The Colour out of Space" (1927). The movies "inspired" by it so far have been largely nonsensical, conventional cheapies like DIE, MONSTER, DIE! (1965) and THE CURSE (1987). This new COLOR follows faithfully the words of the story, and makes a pretty good attempt at capturing its spirit, too. The story is a first-rate SF-horror classic and therefore the following shouldn't be spoilers to anyone remotely interested in the genre(s): a meteor falls somewhere in the backwoods, near a remote farm; scientists seem unable to determin the out-of-this-world properties of the strange stone, unlike any meteor ever seen; it spreads its influence on the environment, gradually "poisoning" the ground, the trees, the water, the people on the farm, until all of them rot from inside, crumble to dust and the area is turned into a "blasted heath". The living color goes back to the skies - or does it, really? The mysterious heaven is reflected in the earth's dark waters, and man is left dumbfounded, beyond comprehension, in a universe suddenly strange, alien, inhuman. The end. The changes to Lovecraft's story are rather minimal: it is effortlessly transferred from New England to rural Germany just before WW2, while the framing story, set in the 1950s, deals with an attempt of a young American to find his father, American soldier who disappeared in Germany right after the war. The bulk of the story is, therefore, narrated (i.e. presented in a flashback) by a local participant in the strange events surrounding the Gartner farm. Other than that, everything else sticks close to the events described in the original story. The main drawback about this whole endeavor is only this: "The Colour out of Space" happens to be one of top-5 best horror stories ever written. Or maybe top-10, if one is very, very harsh. On the other hand, this cinematic version is certainly not in the top-5 best horror films ever made. To be honest, it's not even in the top-50. This is not so much criticism of the film itself, which is pretty good overall, and excellent in some departments, but it has to be said that, with all its respectable qualities, it is far from being the definitive, ultimate version of that particular story. But, given the general circumstances and tendencies in filmmaking these days, this is probably the best version of that story we'll ever see. Let's start with the qualities. The approach is respectful (though, perhaps, too much so). The attitude is serious and somber, without cheapening the story with needless jump-scares or monster-mayhem. It tries, and mostly succeeds, to build a somber mood of bleak expectation. It is well acted and solidly directed. CGI effects are more than OK. The visual concepts are fine. The idea to shoot the film in black and white, while the alien "Color" is violet, is an inspired touch. (Btw, violet was also used to depict the nameless otherworldly spheres in Stuart Gordon's FROM BEYOND). The black and white cinematography is excellent, and many shots could easily belong in a high-class film like, say, Haneke's WHITE RIBBON (2009). Even the artwork on the film's poster and DVD cover is wonderfully inspired, creepy and arty in the best senses of the words. This is a high praise for a low budget film which does not aim for the mass appeal: with its black and white photography, subtitles (though some parts are spoken in English), slow rhythm, etc. it certainly won't do much to the average horror geek. This film is aimed primarily at the minority which understands that there's much more to Lovecraft than just monsters, tentacles and people in robes invoking weird Gods/Demons while lightning flashes around them. In that regard, THE COLOR belongs to a dying breed of ambitious, serious low budget horror, and should be respected for that. However, the film also merits some criticism. Certain the defects surely have to do with budgetary restraints, but they should be pointed out nevertheless. The scale of the Color's effect is not fully presented. One of the most inspired touches in Lovecraft's story was precisely in presenting how a "normal" everyday world is slowly invaded inside-out and turned into something alien and disgusting. The unnatural twitching of the "possessed" trees while there's no wind is absent; instead, here we have boughs waving in the wind, not on their own (thus, a commonplace image replaces the alien one). The monstrous growths in fruits and vegetables are presented by merely a couple of rather unconvincing huge pears. The unnatural light emitting from the trees at night is seen in only one blink-and-miss shot. The rotteness of the vegetation is seen only in a brief CGI shot of one single mushroom crumbling. Sometimes less is more, but Lovecraft's story, while very subtle in many respects, is not really about that. He described it as "a study in mood", and it is that. But it is also one of the most original and frightening depictions of body-horror ever imagined - what with cancerous effects on vegetables, animals and humans, all united in an universal, almost gnostic plight of the organic existence. In his story people deteriorate just like their rotten fruits and their diseased swine: they melt, crumble and fall to dust. THE COLOR is way too restrained to capture this particular effect of the story, and the little it shows is, sadly, done with computer instead of with practical effects. Actual make-up EFX would be far closer to Lovecraft's intrinsic concept of organic dread, and the latter is sorely lacking in this film. The most damaging fault, however, lies in the film's almost parasitic attitude towards the story. 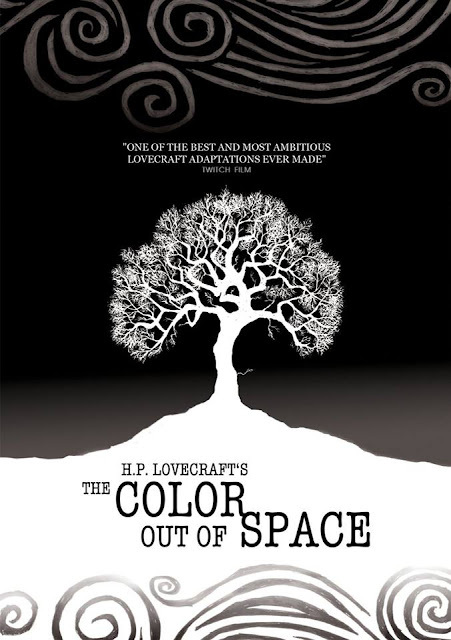 THE COLOR conveys most of the events and concepts that Lovecraft wrote about, yet rarely feels like a true film, but rather as an illustration of the story's events. In other words, the text is not adequately translated into the language of cinema: the events are not fully dramatized the way movies do, so that the effect is somewhat equivalent to those Classics Illustrated comics which are not really, fully comics so much as illustrated key points of events of a given story. Or, eqivalent to those BBC adaptations of literary classics made for TV, so full of respect for the written word that they rarely use the visuals and sound for a stylization above literal illustration. Of course, THE COLOUR is not as dull or uninspired as the mentioned examples, but it has a similar attitude of describing rather than cinematically embodying the story. It results in an effect of detachment on part of the viewer who remains mostly unaffected emotionally by what's on screen. There should've been more drama of a family falling apart, more horror of bodies falling apart, more terror of a nature suddenly gone very, very wrong. Hints of all that are present, but are not fully realized. With all that's said above, THE COLOR remains one of the best and most ambitious Lovecraft adaptations ever made; what it achieves is quite respectable and worthy of support; there are flashes of brilliance, occasionally inspired images and a memorable mood, so that this film is strongly recommended to all those who love H. P. Lovecraft's writings, because they are its prime audience. Those who yearn for unconventional, weird, spooky horror can also give it a try. It is a solid signpost in the right direction and I hope the director will continue following it and aiming for the skies.